Reg. number: 4152 - License plate - Canopy - broken hour meter - Tandem roller in 1990. Ask for price - General very good condition used equipment, ready for use. - Combi roller in 1986. Ask for price - Hours: 7,500 h - General good condition used equipment, ready for use. - Tandem roller in 1984. Hours: 1,100 h - Reg. 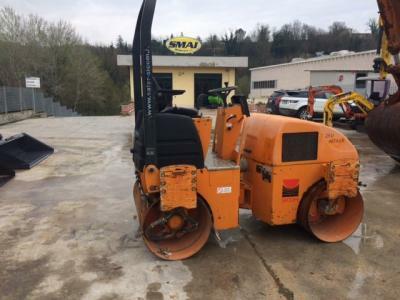 number: 14SP586 - General very good condition used equipment, ready for use. - Tandem roller in 2002. General very good condition used equipment, ready for use. - Pneumatic roller in 1986. Hours: 309 h - General good condition used equipment, ready for use. - Tandem roller in 2005. Hours: 1,000 h - Reg. number: 06504804162 - General very good condition used equipment, ready for use. - Tandem roller in 2007. Ask for price - Weight: 6 t - General good condition used equipment, ready for use. - Grader in 1989. Ask for price - General very good condition used equipment, ready for use. - Tandem roller in 1987.